Last week, Toyota gave Back to the Future fans a taste of what it looks like to have Christopher Lloyd and Michael J. Fox reunite onscreen. Now, for Back to the Future Day—Oct. 21, 2015—the automaker has released the full five-minute spot. Part of the "Fueled by Everything" campaign from Droga5, the work promotes Toyota's new Mirai, a car that uses a variation of the hydrogen fuel cell technology that the 1989 film predicted. 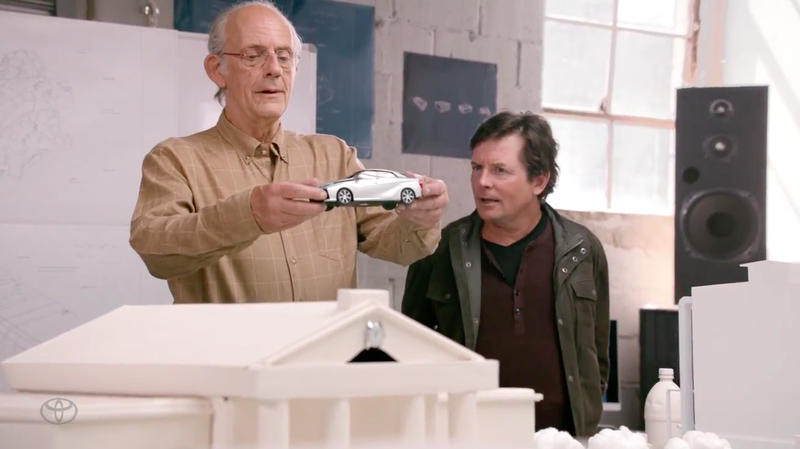 While the teaser focused on Lloyd and Fox riffing about whether the real 2015 has any of the products envisioned in Back to the Future II—something all fans of the film do—the full spot is much more compelling and fun. Toyota tapped a scientist—a real-life Doc Brown—to teach Lloyd and Fox how they can turn trash into fuel for their cars. And Droga5 went all out, using Toyota's Tacoma (Marty's truck in the film), the Huey Lewis and the News song "The Power of Love" and more.